Sudden illness requiring a hospital stay is never on anyone’s schedule, especially when it happens to your Mom or Dad. The number one thing on everyone’s mind is how soon your loved one can head home. But first, there are a lot of questions that need to be answered. Will your family member have a full recovery? What are your options for rehabilitation? How will you juggle all of the responsibilities? You want to give your Mom or Dad your full support, but you also have a job and a family to care for, and you just don’t know how long the recovery process will take. The good news is that you’re not stuck with just one option. 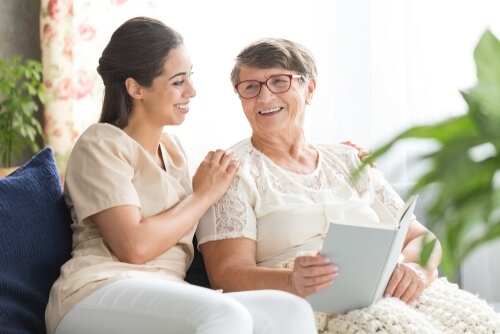 You have choices regarding your loved one’s care and creating a post-hospital care plan that everyone feels comfortable with can greatly ease the stress of the transition process. Talk to the doctor and social worker. Seniors tend to overestimate their ability to care for themselves in the hopes of maintaining independence. That’s why it’s important to talk to your loved one’s doctor about realistic expectations. Ask plenty of questions about ongoing medication needs, the rehabilitation or recovery timeline, physical therapy needs, potential side effects, and whether you should plan for ongoing care after discharge. Consider insurance options. 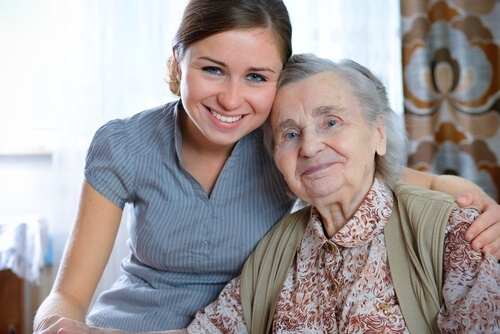 Find out whether your family member’s insurance covers long-term care, skilled nursing facilities, home care, or other care options.This will often be covered if a loved one has long term care insurance. Look for specific programs in the state of Ohio to help cover costs. Ask the hospital to authorize skilled nursing care if needed. If your loved one needs help with medical tasks like changing a dressing or emptying a surgical drain, be sure to ask the hospital to authorize home visits from a skilled nurse. That’s especially true if there isn’t another person living in the home to offer support. Designate someone to be your loved one’s advocate. This person may be yourself or another family member. His or her responsibility will be to advocate on behalf of your Mom or Dad, handling interactions with doctors, insurance companies, and healthcare professionals. Decide what type of care will be needed. Some individuals can leave the hospital and go straight home, while others need to spend some time in a rehabilitation facility or even a skilled nursing facility. Know which services each option includes (medical care, home assistance, 24-hour care, etc.) so you can make the best choice for your family. Medical emergencies can result in serious changes to your Mom or Dad’s routine and independence. It’s a difficult time for everyone involved. But knowing he or she will receive excellent care can give you peace of mind you need to take the next step. For more information about how home care can meet the needs of your senior family member, download our FREE Guide.